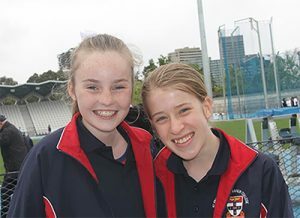 St Francis Xavier College (SFX) students now enjoy a healthier start to the day thanks to their 100km Club, supported by Danihers Facility Management. Once just a breakfast club with a walk around the oval, SFX’s Sports and Recreation Coordinator Darren Thomas has grown the club into a healthy education program that fosters ongoing health and well-being. In addition to breakfast and exercise, the students have learned about cooking and nutritional information as well as fitness equipment and technology. 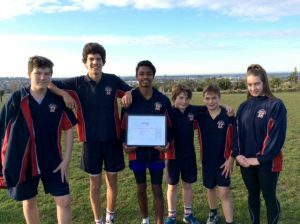 “Through the 100km club we have been able to provide improved learning opportunities for our students around health and well-being,” Darren said. New heart rate monitors in particular have been a massive hit among students in the club. “The students are really curious to see how the heart rate can be used as a fitness tool and are genuinely excited to see their session results,” Darren added. Over the four month program in 2015, the students completed 32 sessions and ran 1715 kilometres in total. The impact has become much bigger than the 100km Club with staff actively talking about health and fitness among themselves and with all students. The impact of the club is likely to extend into academic achievement with recent research finding that children who eat breakfast are twice as likely to perform above average at school than those who do not. Well done Darren and the team at SFX! We are so pleased to support programs that help students improve their overall well-being, as well as developing their social skills and self confidence.